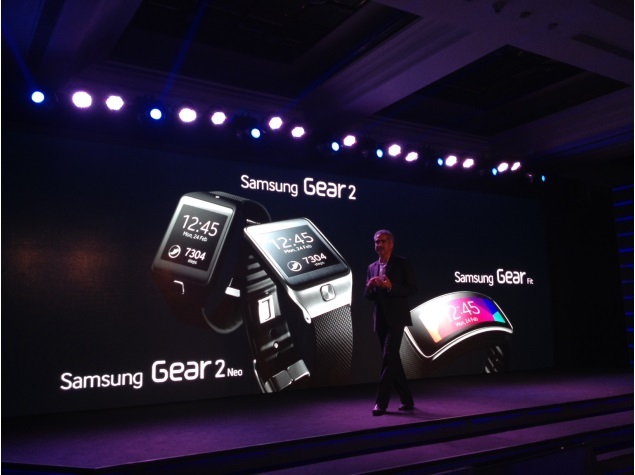 Samsung Gear 2 and Gear 2 Neo smartwatches and Gear Fit fitness band have been unveiled in India. The wearables will be available in India from April 11, alongside the Samsung Galaxy S5. The wearables will be up for pre-order starting March 29.The Samsung Gear Fit and Gear 2 Neo will be available carrying an identical price tag of Rs. 15,900. 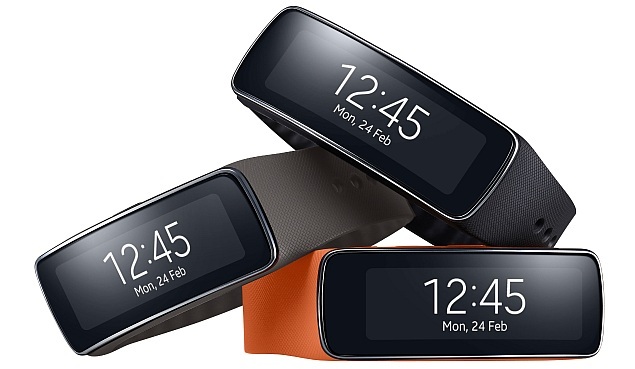 The Samsung Gear 2, which is the successor to the company’s first smartwatch, has been priced at Rs. 21,900. In addition, Samsung unveiled its Galaxy S5 smartphone in India and announced that the device will be priced between the range of Rs. 51,000 to Rs. 53,000.